Jeff Dunham’s latest special, Minding the Monsters, debuted on Comedy Central on Sunday night, and became available for purchase as a DVD on Tuesday. You may have known that already. Dunham’s fans almost certainly did. You also may have known that Dunham is perhaps the most successful comedian working the globe today — and don’t start arguing with me about whether a ventriloquist can be viewed on equal footing as stand-up comedians, because you’re wrong. And that’s not the point of this piece, anyhow. Yes, Dunham makes multi-millions of dollars per year in ticket sales, merchandise of his puppets and more, and has done so for quite some time now. Seven million DVDs sold. Half a billion — billion! — views on YouTube. But you probably don’t know the whole Jeff Dunham story. A two-hour Biography documentary on Dunham last year revealed (or recounted, at least) some fascinating facts about his life and career so far. Even diehard Dunham fans may not know some of these things about the guy whose special has brought in Comedy Central’s biggest-ever ratings. 1. 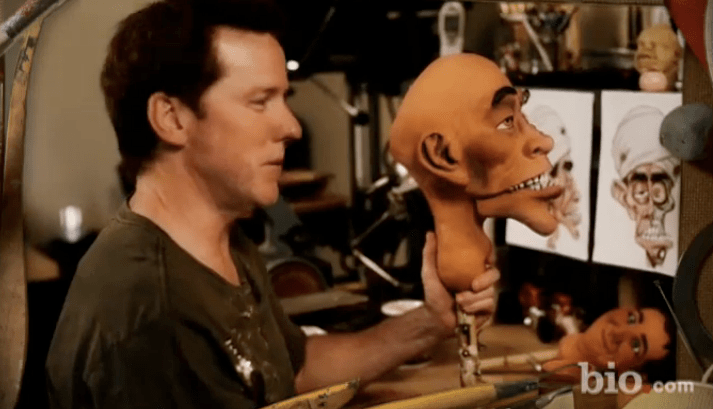 Jeff Dunham builds his own puppets. “Usually I would take the clay head, make a silicone mold or a plaster of Paris mold, then put some sort of material in there to make the actual shell,” Dunham says. “Now all I have to do is hit print.” The model prints in “abs” plastic. He says he likes painting the plastic sculpture the best because it brings the character to life. 2. Jeff Dunham is adopted, an only child raised by devout Christians. 3. 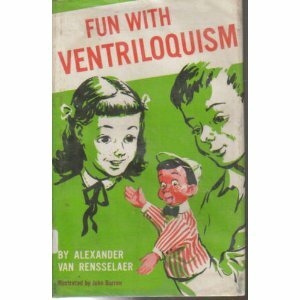 Jeff Dunham has a library book, “Fun With Ventriloquism,” that he took out in 1972 and never returned! 4. 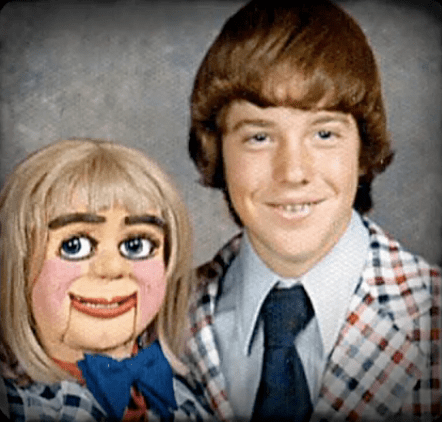 Jeff Dunham used his yearly class photos in school for new head shots, even as early as 7th grade. 5. 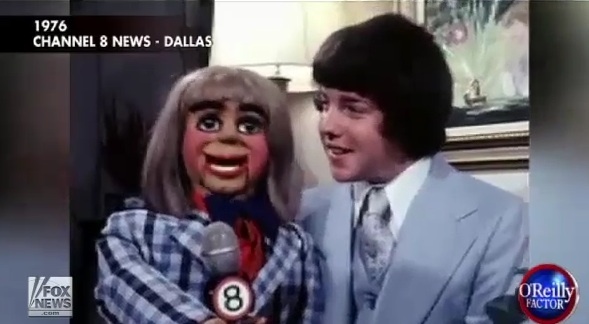 When Jeff Dunham made his first big TV appearance in 1976 as an early teenager, the local TV news reporter in Dallas who interviewed him was…Bill O’Reilly. 6. 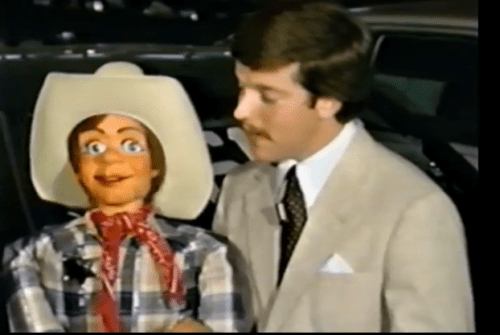 While still in high school, Jeff Dunham was appearing in TV ads for Datsun dealers in Dallas and Tyler. No wonder he was voted most likely to succeed in his high school yearbook. 7. Jeff Dunham earned $70,000 during his junior year as a student at Baylor University. He was working up to 100 corporate and club gigs a year, and opened for Bob Hope and George Burns. 8. Jeff Dunham has done Broadway. 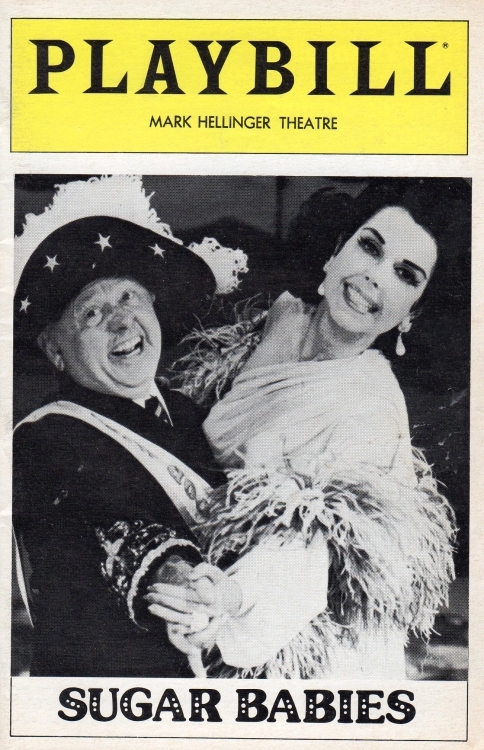 In 1985, he performed as part of the burlesque variety show, “Sugar Babies,” which starred Mickey Rooney. The New York Times review published July 7, 1985 said of Dunham’s performance: “The ventriloquist Jeff Dunham works with four dummies simultaneously, throwing his voice from one to the other so quickly that he is able to engage them in an argument. Mr. Dunham’s material, like that of Mr. Rosen, is clever and sophisticated.” Dunham was still in college. 9. Jeff Dunham enjoys building one and two-seater custom helicopters. And he has crashed them, too. 11. Jeff Dunham was up for the FOX NFL Sunday pre-game show when Frank Caliendo got the gig. 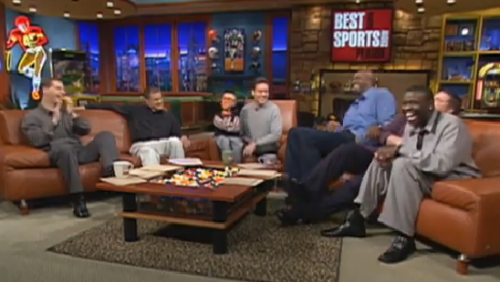 The former football players on the panel vetoed the idea. Also some thing i am sure almost no one knows about is that Jeff Dunham is that he copied the design for Bubba J from a Disney film released in 1947 called “Fun Fancy and Free” in the middle of the two films in the movie it shows a clip of a party a dude is holding for his daughter and he had 2 puppets one was the exact same face and voice and southern accent as Bubba J also with a the low IQ joke. i just recently saw this similarity when re-watching old Disney movies. What Ben has said is true. I noticed it myself several months ago when watching old Disney movies. 57:39 is a halfway decent spot to get a look at him.